Yana Weiman is one of the Instagram’s most successful fashion influencer, an international fashion model, beauty queen (Miss Yaroslavl 2011), the vice of Miss Russian Beauty Pageant – and all in all, one of the biggest fashion IT girls in 2018. She’s not just super pretty but smart too! She just graduated from the International University of Monaco and she’s also a PhD student in financial law at Moscow State University of International Relations. The beautiful model who appeared on fashion magazine covers like L’Officiel now shares her favorite beauty secrets and gives fashion tips to girls who are searching their own style! How did you get influenced by the fashion industry? My admiration of fashion came from my childhood. My mom used to buy fashion magazines like Vogue and ELLE and I loved looking at the beautiful dresses in it. I could spend hours and hours dreaming about having them one day! I remember that it was my big teenage dream to have court heels in different colors – now I’m having more than 30 pairs, so I’m pretty lucky! How could you describe your style in few words? Baby doll, casual chic and summer vibe. What's your favorite clothes in your wardrobe? And what about designer ones? Alexander McQueen’s clutches are definitely my favorites! What advice can you give to young girls who are searching for their own style? You should try out new things! Don’t be afraid to changing the way you dress up until you find your own style! You’re going to feel if you find it. Until then, I would recommend to follow different fashion pages to get inspired. And please don’t think that good clothes have to be expensive – but great accessories are! If you want to be classy suit up! And don’t forget: your favorite perfume can make you more confident! Let’s talk about beauty! How is your daily beauty routine look like? I’m Russian, I raised by women who prefer wake up early morning to make themselves prettier before the family could see them with messy hair and sleepy face. So I do full makeup every day, however my makeup is a bit heavier if I have shooting day. Have you got any beauty products? Oh yes! I love Sisley’s Masque Eclat Express – it makes your skin brighter, softer and more perfect in just 3-5 minutes. It’s the best product for a quick rehab! I also find Clarins Multi-Active Yeux great for the eye zone, especially if you got no sleep or tiring days. My favorite makeup product is the Le Correcteur de Chanel Longue Tenue concealer. I honestly can’t live without it! In summer, I often neglect the foundation and just use only this concealer. By hair care I swear by Leyle Milani Hair products! I would also like to try out the new Valmont Moisturing Eye-C-Gel, because I heard many good opinions about it and I feel that my skin needs an extra love during summer. Please indulge yourselves girls too! And where are you going if you are having a beauty day? I live in Monaco, so I would really recommend to visit the Givenchy SPA at the Hotel Metropole in Monte-Carlo. You will love it! Who's your biggest beauty inspiration? Lana del Rey - I’ve always found her such a good inspiration in her work and in her style too. Her beauty is just out of world! Lastly, please tell me about your red carpet appearance at the 71st Cannes Film Festival! I started to prepare to the festival months ago before my actual red carpet appearance. I choose to wear a talented Kazakhstan designer’s Aelita Couture’s amazing haute couture scarlet dress. It had a 4 meter long sheer train length, which made the whole dress very unique. My hair was in a simple ponytail, and my makeup was made by my good friend, Diane HD, who dreamed a shiny bronzed look for me. It was perfect for my dress! I got invited to the premiere of „The Wild Pear Tree” what was a 2,5-long Turkish movie. It was amazing – the whole audience greeted the film with a big applause after it. 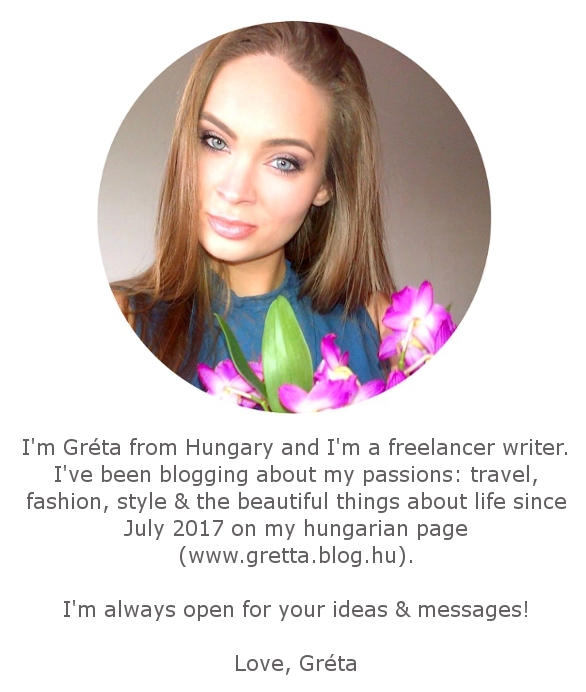 Follow Yana's Instagram page and blog to see more bout her glamorous life!